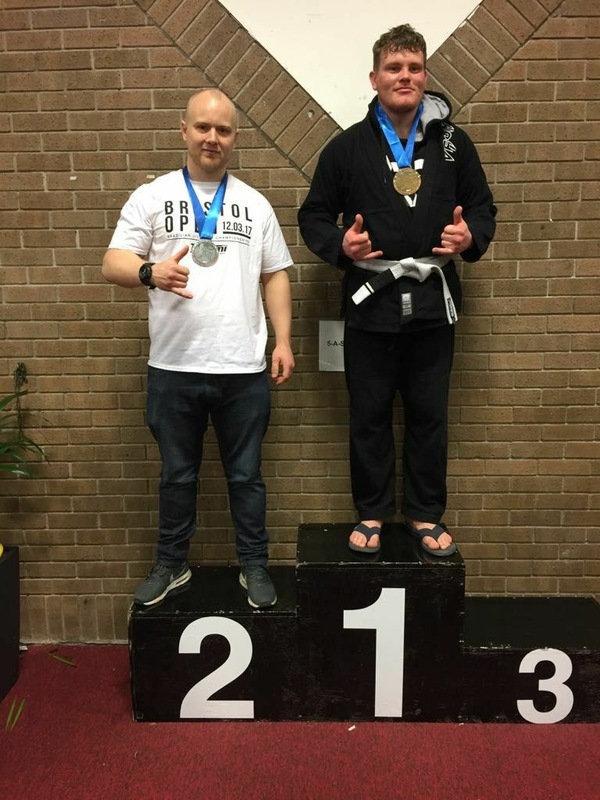 This weekend the team competed in both MMA and BJJ. 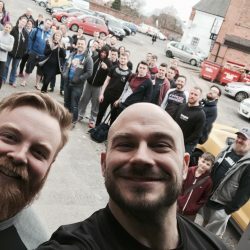 First up on Saturday we visited Telford for Cage Conquest 2. Tom Godber, Lloyd Elliot and Greg Summers (who also trains at the Cheltenham club have been preparing for their bouts these last few months. 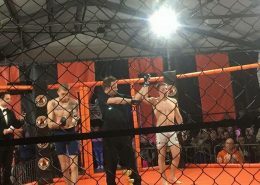 Tom Godber Vs Kieran Durrance was a strong display of grappling with a quick takedown and several scrambles. 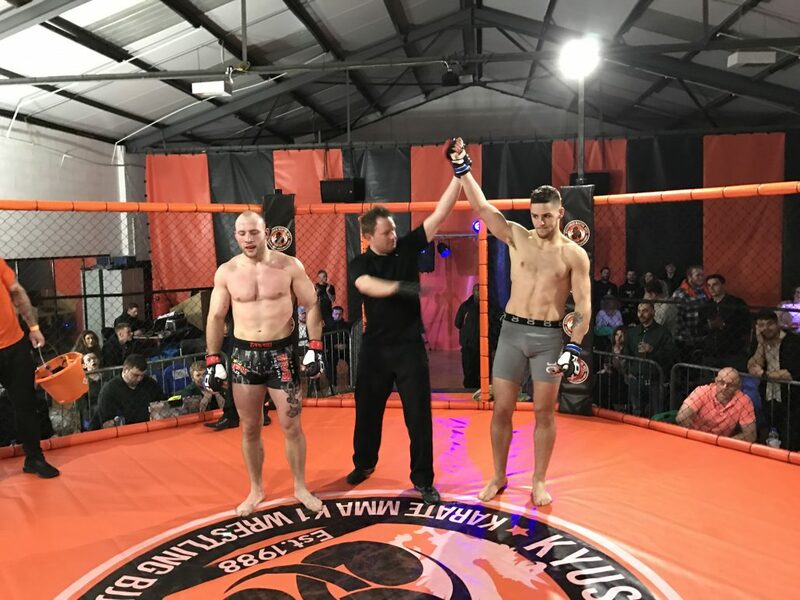 Godber was able to ride the storm and was eventually able to secure the win in the 1st round with a straight foot lock submission. Lloyd Elliot Vs Corey Barlow was an extremely exciting bout with Lloyd controlling the fight on the ground for the first round following a takedown counter. 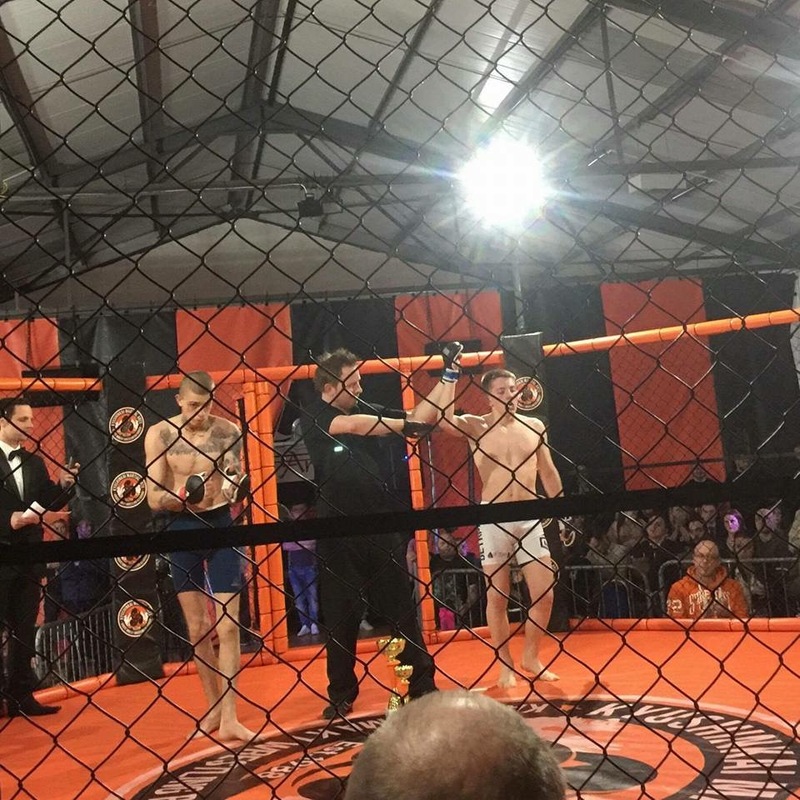 The 2nd round saw Elliot using his longer reach very effectively against a tough opponent and setting up a sensational spinning heel kick that awarded him the TKO win. 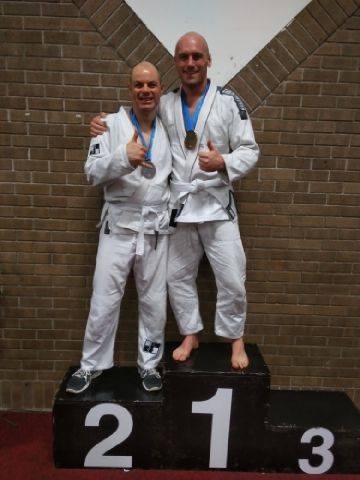 As the main event we saw Greg Summers Vs Alex Skarrett in an exceptionally competitive match. 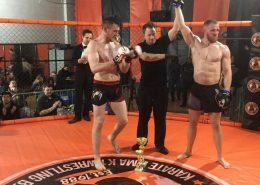 Greg Summers took his opponent down and was able to keep the rounds on his terms with strong strikes from the top. The match took a quick turn when Alex slipped out of a takedown attempt and was able to reverse positions. 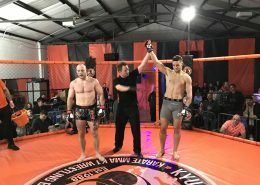 Greg Summers played it smart and turned the match again in his favour, with more suffocating top control, securing a unanimous majority decision. 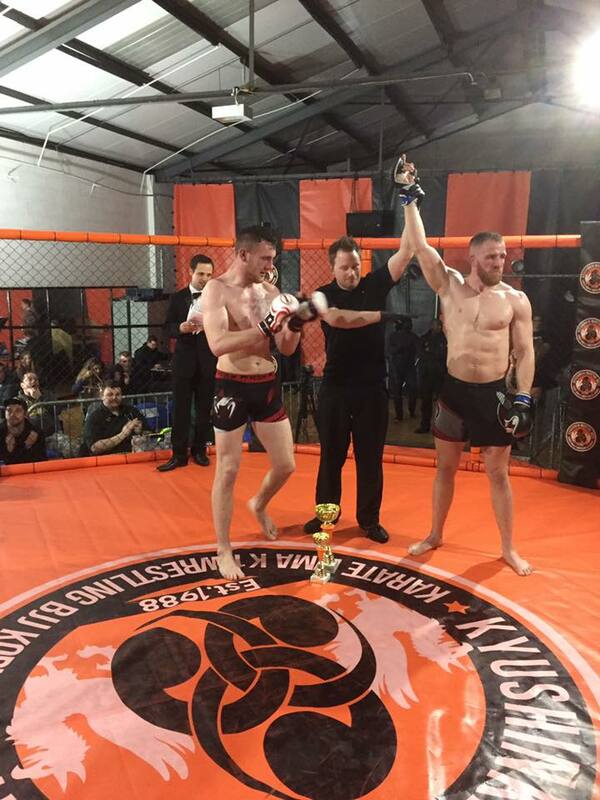 Also congratulations to Vladislav Kerchev who trains out of Cheltenham for his 1st round darce choke submission. 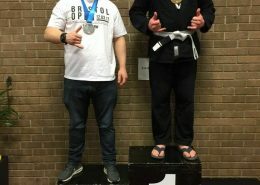 I’m super proud of everyone that competed over the weekend. Our club is growing and we’re heading into very exciting times especially as we head in to our new facility with week!! 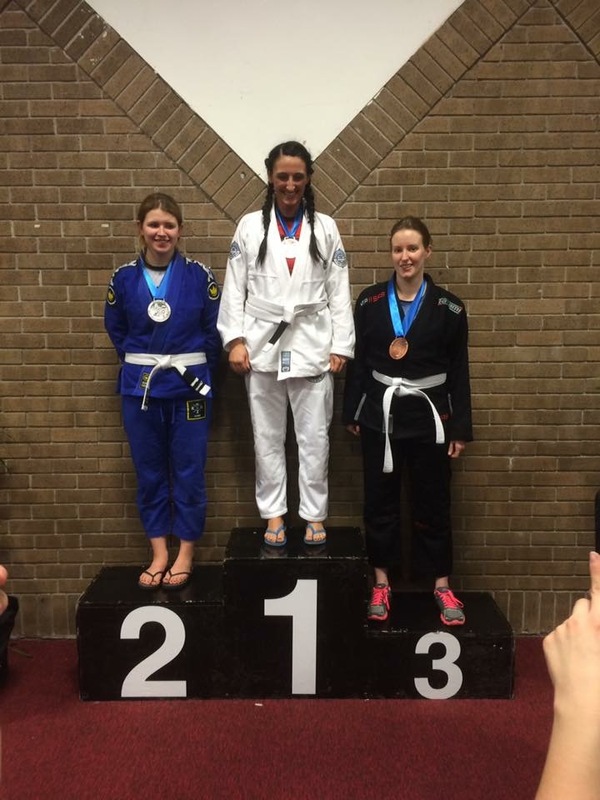 Congratulations to Sarah Wilkinson, Ash Bloor and Callum Sale who competed at the Bristol Open today (Sunday 12th March). 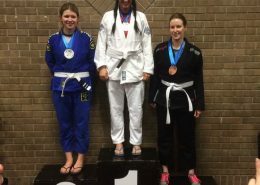 All three fought hard and can take a lot of positives from their fights including a Bronze for Sarah and Silver for Ash and Callum. 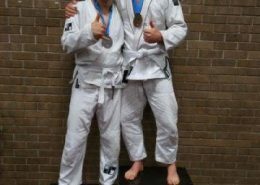 Every time someone competes they are putting themselves to the test which takes bravery and determination. Their efforts are steadily turning into results which can be clearly seen by all those that train with them. http://trojanfreefighters.uk/wp-content/uploads/2017/03/IMG_1655.jpg 3024 4032 Dan Richards http://trojanfreefighters.uk/wp-content/uploads/2016/11/trojanlogo-300x135.png Dan Richards2017-03-12 22:17:582017-03-12 22:23:40This weekends success! 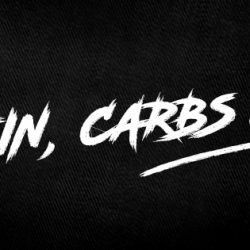 Nutrition – The Basics and we’re in!